They say a change is as good as a rest, well one change that Stampin’ Up! are introducing is a colour refresh. 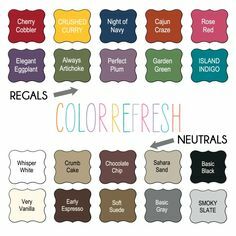 Unfortunately some colours are leaving us as of 30th June but with their departure we will have some new colours join the colour families. 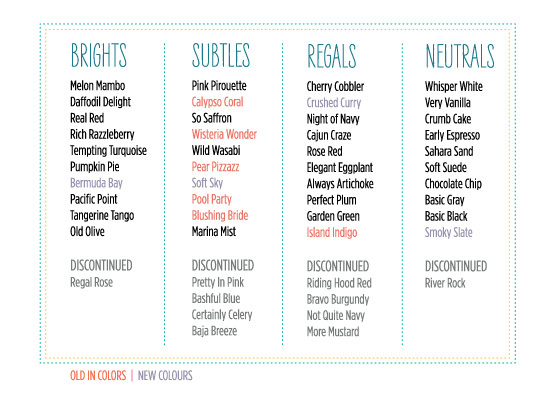 You will see that there is no mention about the In Colour’s 2011-2013, well I am pleased to say that Calypso Coral, Wisteria Wonder, Pool Party and Island Indigo are staying but sadly Lucky Limeade will be leaving. These will be available to order from 1st July 2013 with the launch of the new catalogue!